We are delighted to inform parents and carers that we have been re-accredited as ‘Gold’ by Unicef UK’s Rights Respecting School programme as a result of our continued commitment to the work. Unicef is the world’s leading organisation working for children and their rights. The Rights Respecting Schools Award is granted to schools that show commitment to promoting and realising children’s rights and encouraging adults, children and young people to respect the rights of others in school. Gold is the highest accolade given by Unicef UK and shows a deep and thorough commitment to children’s rights at all levels of school life. We would like to say a huge ‘Thank You’ to our parents, carers and visitors for your continued support with all of our Rights Respecting work, and we hope that you will continue to support us as we work to maintain this high standard once again. Our staff and children are extremely enthusiastic about the project, and we continue to promote the rights of children locally, nationally and globally. Parents/carers: To see more information on how you can meet rights mentioned in the articles, please click here to see a copy of our ‘Whole School Charter’. 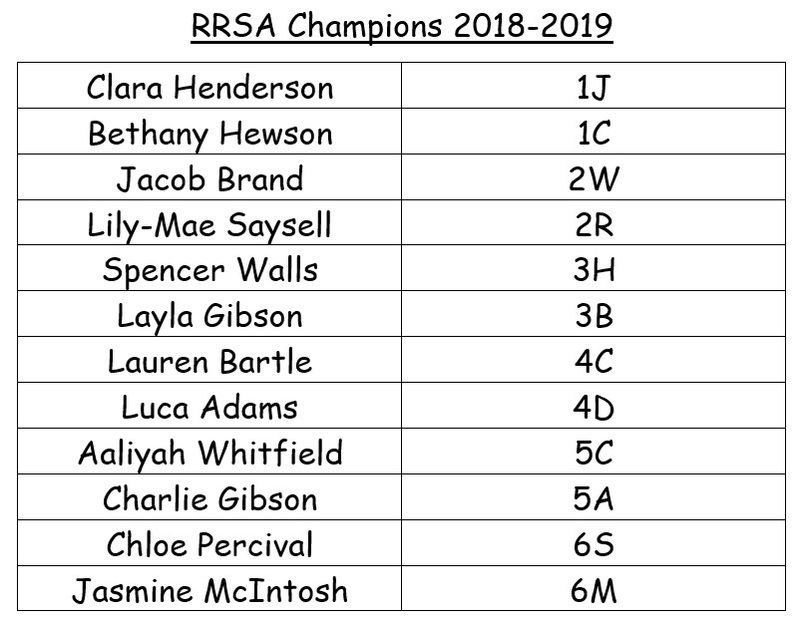 Click here to see the 2018-2019 RRSA Champions list. Some of our children worked closely with a local company, ‘Apollo Arts’, to create our very own RRSA song! Click here to see a preview of the lyrics. We regularly sing our school’s RRSA song during assembly time and the upbeat tune certainly makes it a firm favourite with our children. The RRSA steering group meets every term to discuss new ideas. If you would like to get involved please see Miss Walsh.